Make your brace as good as new with this replacement kit. 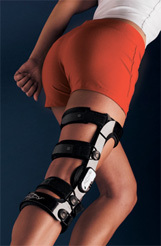 Includes everything you need to refurbish your brace. Parts are easy to replace yourself. This Kit includes: STRAPS, PADS, and LINERS. Note: Replacement Kits can take 7 - 10 days for delivery. Will this strap pad kit fit the short version of the fullforce brace? Basically, are the female force and the fullforce (short) the same frame? I cannot get into the size chart, so I do not know what size to order for the replacement parts. What are the different dimensions for the sizes? This kit says it replaces all straps, pads, and liners but only shows a picture of the pads/liners and is cheaper than the separate item listed as 4 replacement straps. 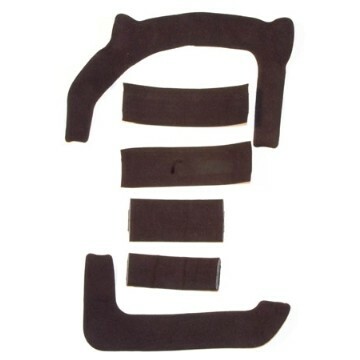 I am confused about what to buy as I wish to replace all straps, pads and liners on my female fource brace. Could you clarify what this item really inludes? Do I need to purchase this item in addition to the replacement 4 strap item? Does this kit replace all straps and pads? Absolutely perfect. Easy to change out. Which is great due to the fact I have and will be putting many miles on my brace. These are just simple replacement pads and liners for your brace it does not come with any straps (for clarification) When your old liner and pads become worn out just replace it with these ones. I for some reason got a migration band instead of a regular pad for my 4th and 5th strap. Not sure why but I'm not complaining! the migration band works great! Cons: a little pricey for what they are.